Legendary R&B/soul singer, Marvin Gaye, was born on this day in Washington D.C. in 1939. What a sweet, smooth, beautiful voice he had. Sadly and tragically he was shot down by his father one day before his 45th Birthday. 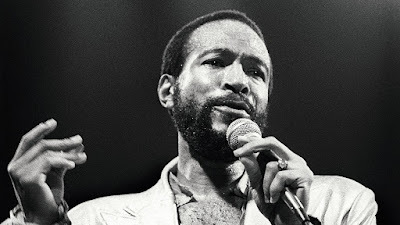 It's hard to believe but today [Tuesday, April 2] Marvin Gaye would be 80 years old. This from Wikipedia: "Since his death, many institutions have posthumously bestowed Gaye with awards and other honors—including the Grammy Lifetime Achievement Award, the Rhythm and Blues Music Hall of Fame, the Songwriters Hall of Fame, and the Rock and Roll Hall of Fame." Rest in Peace on Your Heavenly 80th, Marvin Gaye!